Jasmine Donahaye has been a birdwatcher since childhood. Part of the pleasure of identifying birds, she writes, is “to distinguish what is known from what is not known, to experience crisp, sharp certainty”. 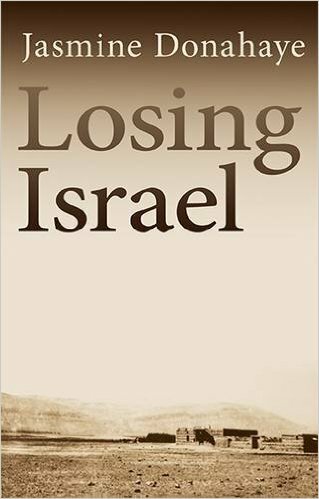 In Losing Israel, Donahaye uncovers something her parents knew but she didn’t; as a result, her certainty about her family, her country and herself is overturned in an instant. It’s a book that moves between the damp of rural Wales (where the author lives now) and the desert of Israel; that weaves together memoir, travel, politics and birdwatching. It’s a brave book, unsparing of her family and herself, and a beautiful one. In 1978, when Donahaye was 10, her parents took her for the first time from England to their homeland of Israel. She visited the kibbutz where her mother had grown up, heard stories of the heroic workers who had established it, and saw the healed scar on the forehead of her grandfather, who in the 1940s had been attacked and wounded by “the Arabs”. But it was the birdwatching — a hobby her parents had encouraged back at their house near Ashdown Forest — that made the strongest impression: the raptors rising on thermals from the Negev, the Smyrna kingfishers and black-winged stilts in the fishponds, the wheatears and griffon vultures in the Sinai. In 2009, Donahaye went birdwatching again, in the Red Sea resort of Eilat, this time with new eyes. In between, she had had her own spell on a kibbutz, at 17, when she was “ripe for the nationalist story in its most overtly propagandistic form”; she had married, moved to the United States, had two daughters and divorced; she had exchanged the Zionism she had absorbed from her mother for a more questioning view of Israel and its founding myths. She had also, in 2007, had a chance conversation with her mother, in which she discovered that her family had colluded in the eviction of Palestinians from their villages in the Jezreel Valley in 1948. In her efforts to uncover the full story, and to find out what had become of those villagers, she learned that her grandfather, far from being a victim, had initiated the attack in which he was wounded.